Like most nature lovers, I have dreamed of close encounters with wildlife that don’t make me feel like a stalker. A Dr. Doolittle experience–short on actual conversation, of course, but long on trust and peaceful acceptance. Last spring I found a place where this is a reality–the Galapagos, an isolated 28,000-square-mile archipelago straddling the equator 620 miles off the coast of South America. According to the Charles Darwin Foundation, “The Galapagos is the largest, most complex and most diverse archipelago remaining in the world still largely in pristine condition. . . . [it is the] most special remaining oceanic island system in the world.” Based in Quito, Ecuador, the 46-year-old Darwin Foundation was formed under the auspices of UNESCO and the International Union for Conservation of Nature and Natural Resources (previously World Conservation Union) to preserve the Galapagos ecosystems. It operates the vital Charles Darwin Research Station on Santa Cruz. “Special” is a mild word to describe the wildlife spectacle of my lifetime–an odyssey filled with wonder at every turn of the trail or stroke through the water. I saw mammals, birds, reptiles and plants that exist nowhere else in the world–and nowhere else is the wildlife more approachable. This is the animal kingdom, where critters far outnumber humans and go about their lives with no fear or hostility for the small groups of visitors in their midst. The memories tumble over each other. Boobies showing off feet of teal blue, red or black. In trailside nests, newborn chicks playing hide-and-seek under their mothers’ feathers. Black frigate birds inflating scarlet throat bladders the size of soccer balls to impress females, then lumbering off cliffs to take flight like heavily loaded cargo planes. Sea lions basking lazily on beaches as visitors walk among them, and dashing into the water to play with divers and snorkelers. Beneath the ocean’s surface, huge turtles feeding placidly as white-tip and hammerhead sharks glide by. Aquatic iguanas displaying their swimming skills while their landlubber relatives watch. Both of the Galapagos iguanas descended from their common green cousins on the mainland, but adapted differently to survive. 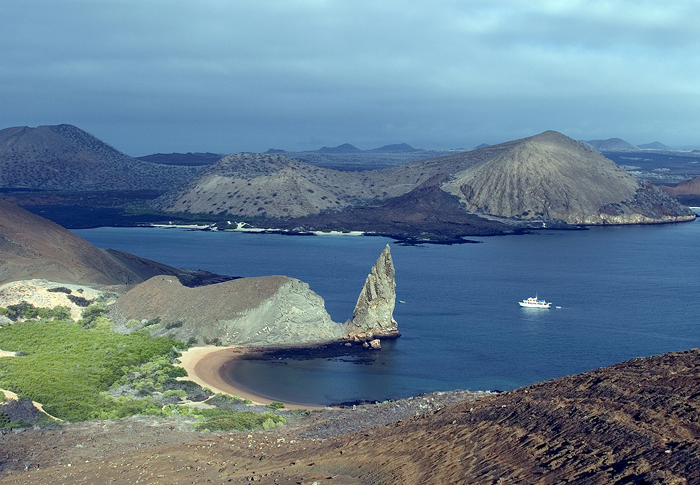 Which is what the Galapagos is all about—adaptation and survival. This is what struck British naturalist Charles Darwin when he visited the islands in 1835 aboard the H.M.S. Beagle. The strange creatures he discovered caused him to theorize about evolution, sparking a never ending debate. 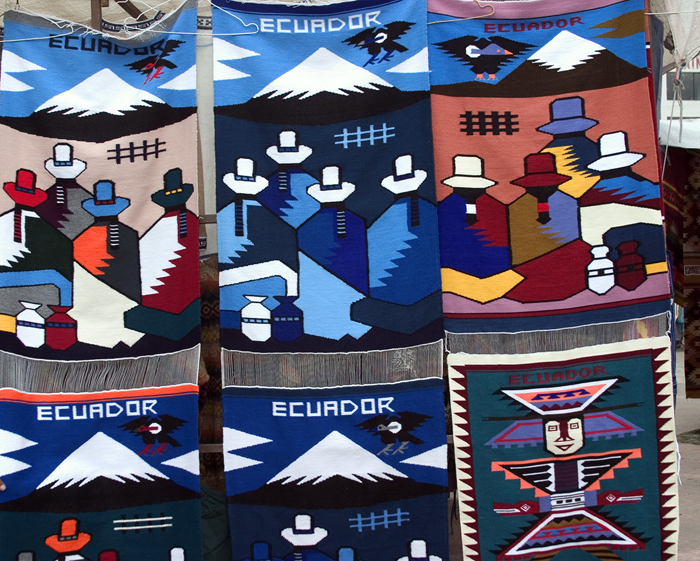 What’s remarkable is that you can still see the islands and their inhabitants very much as Darwin saw them, thanks to Ecuador’s farsighted environmental protection measures. Since 1959 the islands have been a national park with restricted human settlements on only five of the 13 major islands. With a total landmass of just under 5,000 square miles, the islands range in size from mere spits of land to the largest, the 1,771-square-mile Isabela, which is less than half the size of Hawaii’s Big Island. The archipelago, scattered over 28,000 square miles of ocean, is also a UNESCO World Heritage Site. 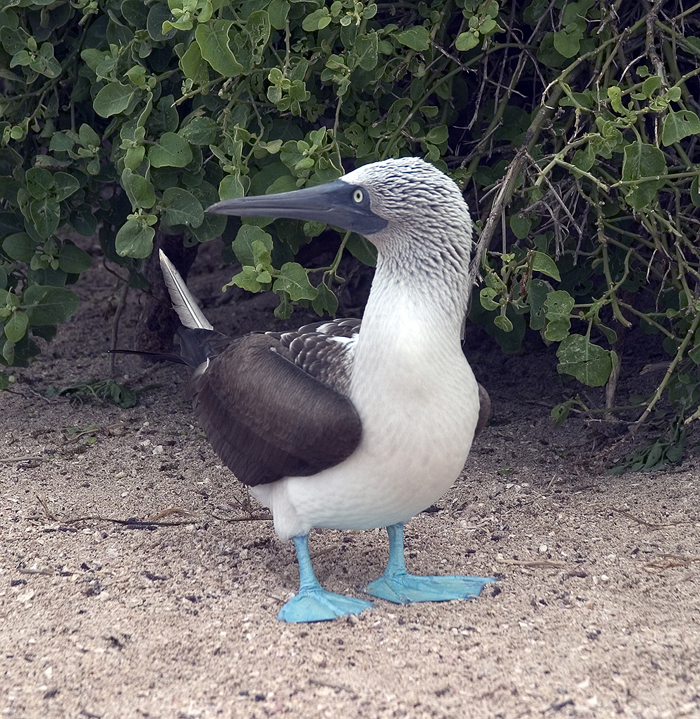 The Galapagos National Park Service controls the number of vessels and visitors and specifies landing areas and walking trails to minimize the impact of tourism. Park Service guides accompany all excursions. Like Darwin, my fellow passengers and I toured the islands by boat, but we didn’t have to endure an Atlantic voyage to get there. Like many other visitors we passed through Guayaquil, Ecuador’s largest city. Flights to the islands from Guayaquil depart in the morning and return in the afternoon. Therefore, many visitors spend time in the city en route. A modern metropolis with a population of nearly three million, Guayaquil is slowly emerging as a tourism destination. In recent years, savvy politicians have revitalized poor neighborhoods, cut crime and developed attractions. A good example is the Parque Historico Guayaquil—a combination zoo, nature reserve and historical park with restored century-old buildings. There’s also the popular Malecon 2000, a boardwalk along the Rio Guayas lined with bars, restaurants and shops. Guayaquil’s “white city” is a fascinating, mile-wide cemetery with historic statues, mausoleums and 600,000 headstone. Good accommodations, restaurants and entertainment are to be found in the city, often at budget prices. We took the 90-minute flight from Guayaquil to Baltra, one of two Galapagos islands with an airport (the other being San Cristobal). From the airport, we traveled by bus and ferry to Santa Cruz. Lying almost in the center of the archipelago, Santa Cruz is the second-largest island, the most populated, and the economic hub of the Galapagos. On its southern coast is Puerto Ayora, a major departure point for cruise boats ranging in capacity from 10 passengers to 100, with amenities from Spartan to luxurious. In Puerto Ayora we met our guide, Walter, and set off inland by bus to see the famous Galapagos tortoises in the wild highland preserves. We quickly came upon several of them, some of which Walter estimated to be more than 100 years old and weighing several hundred pounds. The great beasts ignored us as they browsed for food, slowly and noisily masticating guavas and passion fruit that had fallen from the trees. Their wrinkled faces and large eyes were peaceful, unafraid. This was just what I had come for—and it was only the first day in my quest for a Dr. Doolittle experience. A 15-minute walk from Puerto Ayora took us to the heart and soul of the Galapagos preservation effort, the Charles Darwin Research Station, home of the Galapagos National Park Service where guides are trained. Tortoises here range from silver dollar-sized to 700-pound behemoths with four-foot shell spans. Watching the big guys stretch their necks to pluck succulent leaves, I could see why they were the models for Steven Spielberg’s E.T. 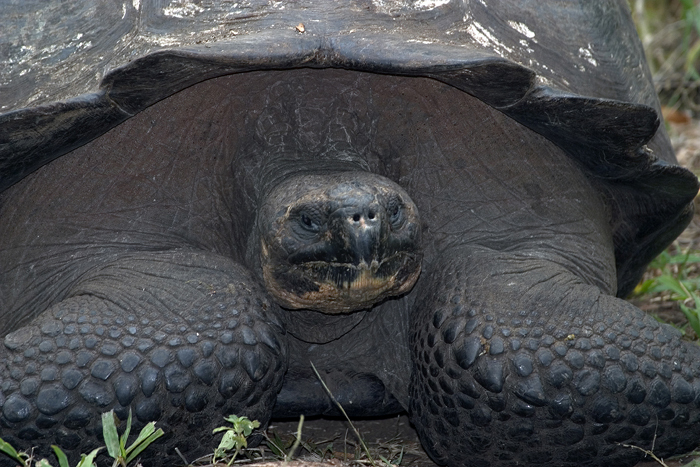 According to the Darwin Foundation, only 11 subspecies or “races” of Galapagos Giant Tortoise (Geochelone elephantopus abingdoni) still exist and several are seriously endangered. The DNA of the tortoises, while very similar, varies from island to island. Youngsters bred at the station bolster populations on the very islands where their parents originated, preserving their distinct races. Seeing the little ones gambol over the rocks was heartening–an atonement, perhaps, for the thousands killed in the 1800s to feed seafaring whalers from Europe. The poor beasts could live up to a year without food and water in the holds of ships. The plight of Lonesome George highlights the sensitivity of the Galapagos, a realm that evolved in isolation under harsh conditions and has been disrupted by non-indigenous goats, dogs, rats, insects and plants introduced in the islands many years ago. Oil spills, overfishing and natural phenomenon such as El Nino continue to upset the natural balance. Part of the Research Station’s mandate is to find ways to reverse these effects (such as removing intrusive species) and to prevent further outside influences. With a clear understanding of the fragility of this unique ecosystem, we left Santa Cruz and set sail for the other islands on the 16-passenger GAP Explorer—four Americans, four Aussies, four Brits, two Canadians and a Spanish crew of eight. Our daily routine (far from routine): an early breakfast followed by a shore excursion, a return to the ship for lunch and a siesta during the mid-day equatorial heat, then an afternoon excursion on an different island. Most days I joined the other divers in a pre-breakfast dive, donning a heavy cold-water wetsuit and braving strong currents to explore a volcanic underwater landscape inhabited by sea turtles, white-tipped and hammerhead sharks, rays, eels, gardens of multi-colored starfish, and large schools of fish. One day I surfaced from a dive to find a ring of boobies bobbing around me, pecking at the water. Feeling like an intruder at a coffee klatch, I sank to surface elsewhere. On another dive I felt a tug on my fin. As I turned to look, several slick sea lions flashed by. One dashed back to press his whiskered face against my mask, then rushed off to tease Walter. Laughter burst from me in a halo of bubbles, which delighted the sea lions. They often visited us on dives and must have thought us exceedingly clumsy in comparison to their ease in the water. The volcanic terrain underwater indicates that some islands are now submerged, but there is no evidence of a land link to the continent. So how did life begin here? The prevalent theory is that millions of years ago (the exact number is debatable) floodwaters from Ecuadorian rivers set adrift rafts of debris carrying plant and animal life. These rafts landed on bleak islands that had erupted (and in some cases are still erupting) from the ocean floor. The plants and creatures who survived the voyage did what it took to adapt. Iguanas learned to swim, birds learned to dive, and plants developed tough skins. Galapagos penguins, the only ones of their species to live on the equator, apparently followed cold Pacific currents and decided to become neighbors with tropical flamingos. Our first landfall was Floreana, the first island Darwin visited. 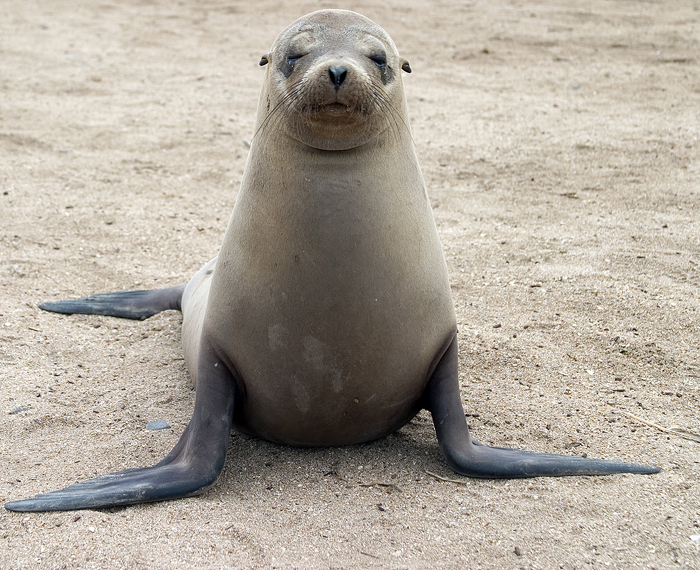 We landed on a jade green beach where young sea lions lazed while adults fished offshore. With their large soulful eyes and whiskered noses they were incredibly cute, and the urge was strong to sneak a quick pat. Touching is not allowed, of course, or feeding, littering or taking souvenirs. We followed a narrow footpath to the famous “post office barrel” first placed here by 17th-century whalers. Seaman would leave messages here for loved ones back home, which would be hand-delivered by sailors on the next ship heading back to Europe. Carrying on the tradition, we each left cards and took a couple to deliver when we returned home. A short hike brought us to a serene beach where sea turtles had recently hatched, leaving craters in the sand. At the water’s edge, bright orange and yellow crabs clung to black rocks worn smooth by the sea, their elevated eyes on the lookout for predatory marine iguanas. After lunch we cruised in dinghies along the shore of another nesting beach, watching turtles popping up for air and swimming in the clear water. The island of Espanola is home to a stunning array of wildlife easily visible at close range—brilliant red and black vermillion flycatchers; bright yellow warblers; 13 varieties of Darwin finches in subtle variations of brown; the dark-feathered Galapagos hawk; flashy brown-and-white mockingbirds (that do not “mock” like their counterparts elsewhere), swallow-tailed gulls flashing their white breasts; and, of course, sea lions. It was here that I finally discovered what the fuss over blue-footed boobies is all about. Within three feet of me, several males went through their courting ritual, raising their brilliant blue feet in a hilarious slow dance that looks as if they have stepped in chewing gum–accompanied by wing-flapping, chest-puffing and shrill whistles. At the edge of a rocky cliff, black and white masked boobies gathered like guys dressed for a white tie affair. Heavy albatrosses launched themselves into headwinds coming off the sea, setting out to fish and bring food back to their nestlings. A very busy place, the cliff is aptly named the Albatross Airport. Each island held it own delights. On North Seymour we walked among ground-nesting boobies with freshly hatched chicks, and watched showy frigates in a contest to see whose red neck bladder was the biggest. After a long climb, we stood atop a 374-foot peak on Bartolome’ and gazed at the island’s stark volcanic moonscape. Down below in a brilliant blue harbor our boat floated like a toy next to the pinnacle rock I remembered so vividly from the movie Master and Commander: the Far Side of the World. On Rabida, we landed on a red sand beach and strolled through a forest of 80-year-old Opuntia Cacti, taking care not to step on tiny red-throated lava lizards and big land iguanas, ugly fellows peeling like sunburned tourists. On Santiago, I wiggled my toes in ebony sand to the now-familiar sound of chortling sea lions, and marveled at the way small pebbles stirred by the tide had worn perfectly round depressions in rock outcroppings—akin to a grain of sand irritating an oyster into forming a pearl. From natural stone bridges we gazed into crystal clear grottoes where sea lions and fur seals played in the incoming waves. Back in Puerto Ayora, homeward bound with my head (and camera) filled with memories of great animal encounters, I searched the shops for the perfect Galapagos tortoise—in wood, of course—and found it, a 25-pound beauty carved in exacting detail. George, now residing in my living room, serves as a silent siren calling me back to the animal kingdom that is the Galapagos. Next time I may book a cabin on a larger, more luxurious ship like the 48-passenger Eclipse, a popular vessel for families because it has special tours for children. That way I can get a kid’s perspective of the islands. With my own childlike enchantment, I should fit right in.